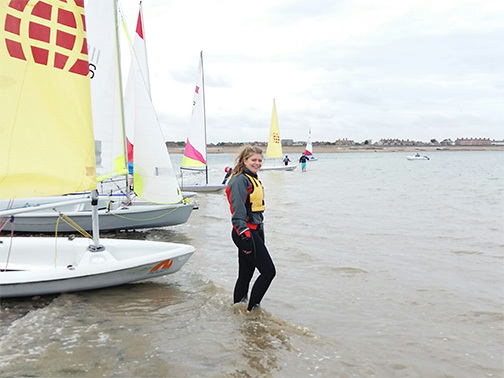 Learn to sail with the Sailing Club's Royal Yachting Association (RYA) approved instructors. 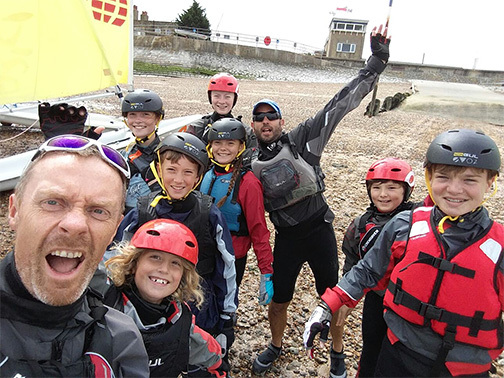 The Club has trained ages 8 to 80 and has been an RYA Recognised Training Centre since 1973! The club usually organises at least one adult course and one week long course for cadets every year (depending on demand). The aim of the courses is to introduce newcomers to the sport of sailing, to help them learn to sail safely, and especially to have fun! 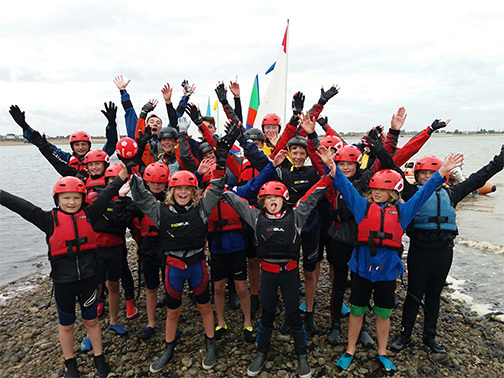 The club uses RYA (Royal Yachting Association) methods, comprising RYA Levels 1 & 2 for Adults and the Youth Training Scheme Stages 1-4 for cadets (ages 8 to 15). Everybody learns at their own pace and other course levels can be obtained after more experience. The Club has a training fleet consisting of RS Visions, RS Fevas, Picos & Toppers. 2018 details to be published shortly. The only clothing required to start are a pair of trainers, jeans, a warm jumper and a waterproof jacket of some kind. If you have one, a wetsuit is better, and a dry change of clothing to get changed into after sailing (you may get wet at some stage!). Lifejackets, buoyancy aids and some spray tops can all be provided. The team of instructors and helpers work on a voluntary basis and are not paid for their help, so please be kind to them!